China is leading the development race of 5G, the ultra-fast mobile internet network, ahead of South Korea and the United States, according to a study published on Monday. These three countries, along with Japan, are the most committed to the development of technology, according to research by Analysys Mason, which evaluated the actions taken by companies and public policies in ten countries. These four global "leaders" are the first group - the best prepared - while the European markets, which include France, Germany and the United Kingdom, figure in the second group. Singapore, Russia and Canada are part of the third group, according to the study conducted by CTIA, the American Association of Telecommunications Operators. China owes its strong push to both "proactive government policy and industry momentum," CTIA said in a statement. There, all major companies in the industry committed to release dates and the government with the frequency assignments to operators. 5G is a key factor in the development of connected objects. Its evolution should help process the billions of data needed for the massive use of stand-alone cars and other everyday "smart" objects. The European Union aims to count on 5G by 2020. "The United States will not have a second chance to win the 5G world race," said Meredith Attwell Baker, CTIA director. The first commercial developments of this technology are expected for this year in Asia and the United States, but most implementations are expected to arrive in 2019, according to a recent GlobalData study. 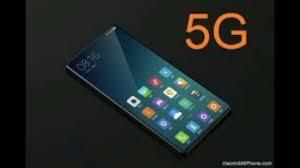 The 5G is considered by many countries, especially the United States, as a strategic subject. In mid-March, the White House blocked a takeover bid by Singapore-based broadcom semiconductor firm Qualcomm to raise fears for national security. The United States is especially worried about China, particularly the Huawei group.